World champion in space saving in bathroom. Function: A toilet which automatically folds out of the wall by pressing a button and folds back into the wall by pushing the button again. In the folded position the toilet is once with the wall. Thus saves space in the bathroom. The system needs a total of 30 cm (second variant with 25cm) depth in the wall incl. water reservoir. It is also possible that the system sticks out halfway in the wall and half out. In this case it offers storage space for a candle or perfume bottle and other decorative objects. The toilet can therefore also be behind a door. 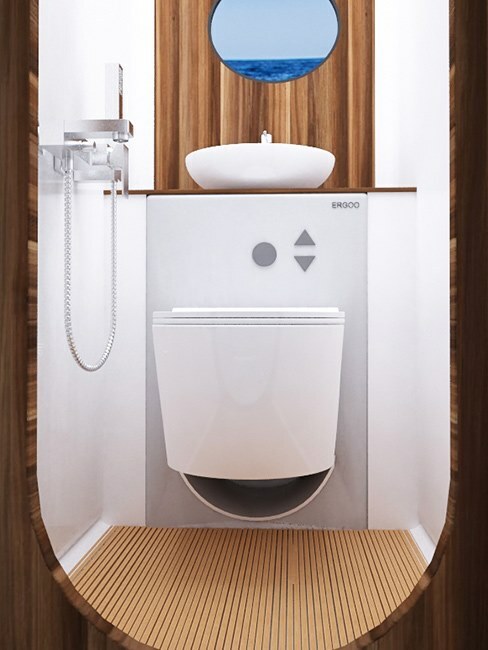 The toilet is indistinguishable from the appearance and quality of a conventional toilet, this including in the function. 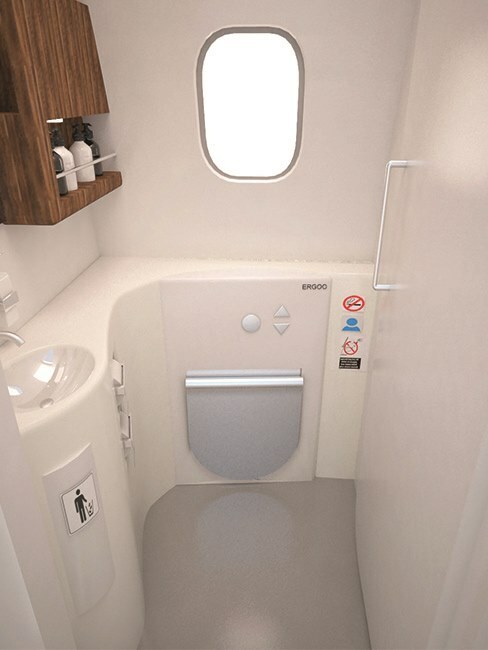 The system also works with water like the existing toilets . That means it prevents odor. We have secured the method for this type of toilet just with our patents. 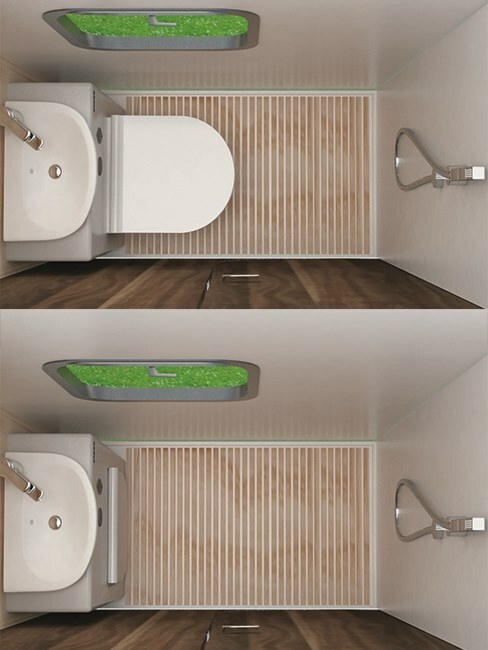 It offers new solutions / options for architects, interior designers and builders to plan a small bathroom optimally and space saving. 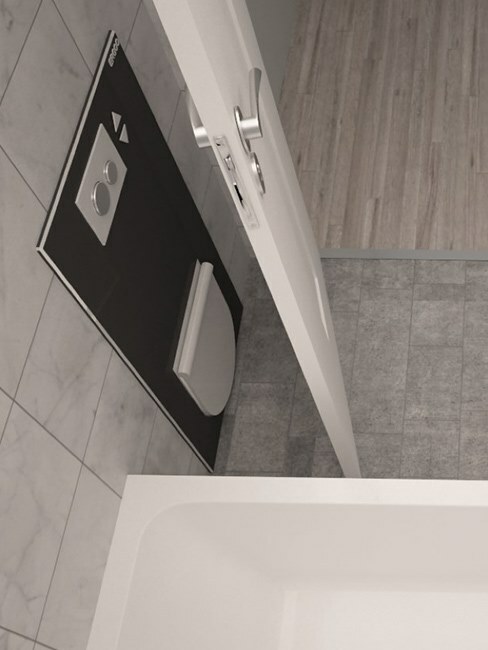 What was not possible before is now possible with our toilet system! We have developed a method in the toilet bowl, which by physical laws (without pumps and other mechanical support) the water does not leak when toilet is folded. The space saving potential is great. Can be used in housing, office, hotel area and other types. Also suitable for yachts, sailing yachts, ships and voyages, in RV's / caravans and in airplanes. Where space matters, we are the right address.